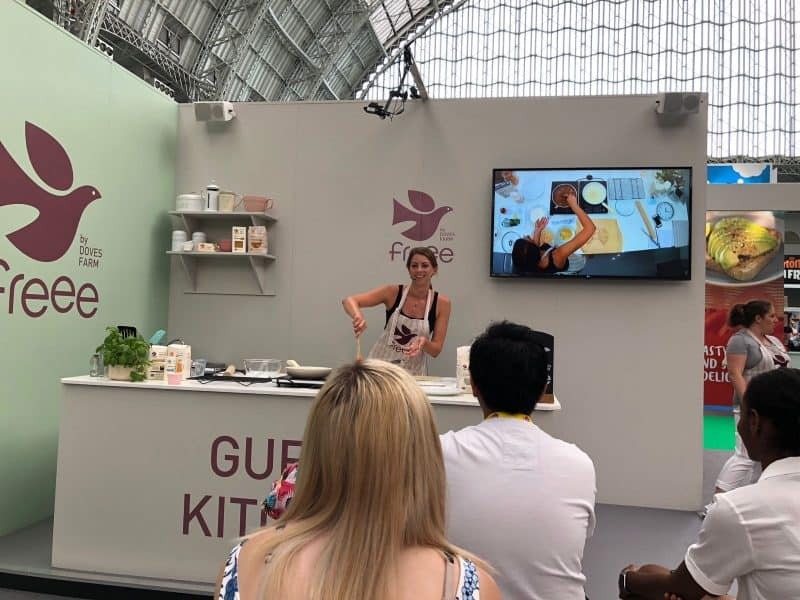 As a gluten free blogger I work with free from brands I love and trust to promote their amazing products and make sure my readers have the best gluten free tips, tricks and recipes. 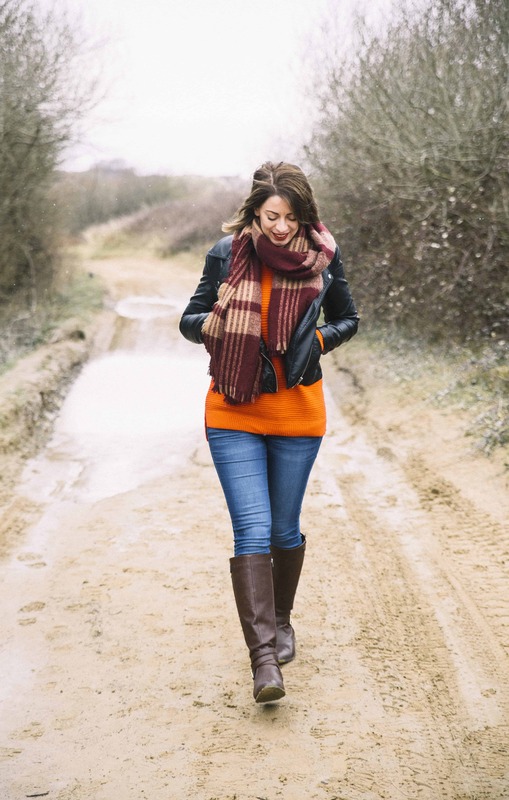 I’ve worked on a variety of projects from recipe creation and tips for living with coeliac disease, to social media posts, copywriting and much more. I’m also a qualified journalist and have put together several magazine articles on gluten free living! 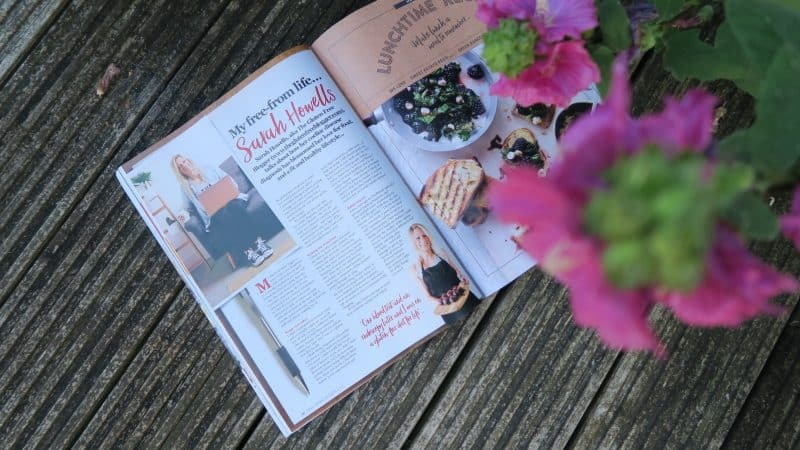 If you want to find out more about working with me to promote your brand, drop me an email on sarah@theglutenfreeblogger.com or fill out the contact form at the bottom of the page. I’m always happy to talk through different ideas! At the Allergy and Free From Show I was kindly asked to do a cooking demonstration on the Freee by Dove’s Farm stand. I had a 30-minute slot where I made my gluten free katsu curry to a lovely audience – and I barely burnt a thing! In March 2018 I worked with Waitrose on their Good Health campaign, to promote simple, fresh and healthy recipes using gluten free products in their Good Health range. 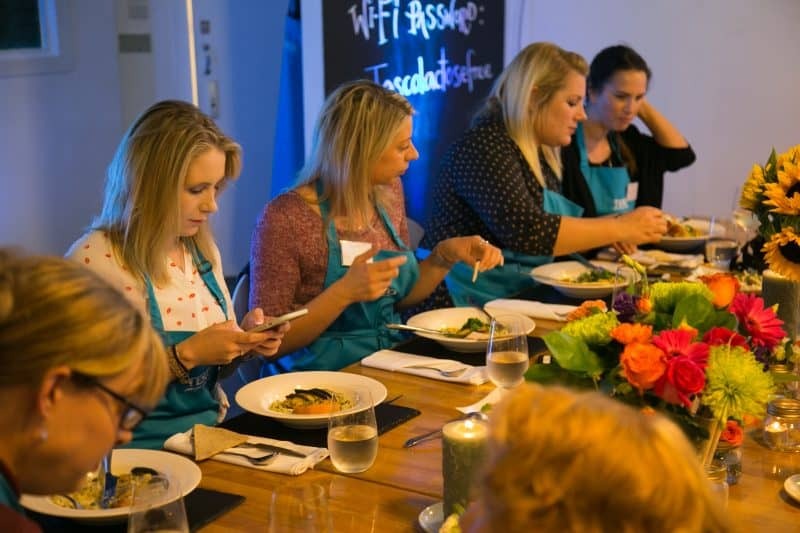 As part of this campaign I was invited to an amazing cookery session with some fabulous bloggers at the Waitrose Cookery School in Kings Cross. I then created these two healthy gluten free pasta dishes as well as some social posts – you can find the recipe for them here. In 2017 I was involved in a brand ambassador campaign with gluten free bread brand Genius alongside some other fabulous free from bloggers. 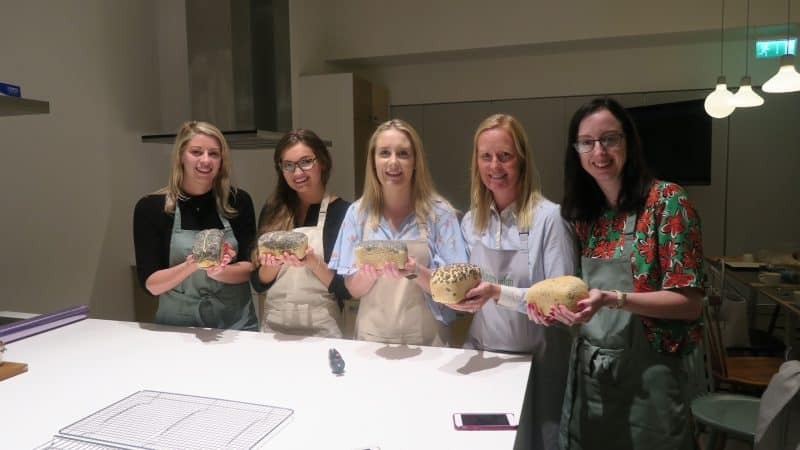 We spent a day with founder Lucinda baking gluten free bread, before I created a selection of blog posts and videos for them to highlight the product range. This included tips on a gluten free Christmas, a product haul, and a recipe for a boozy gluten free bread pudding. In July 2017 I put together a piece for Free From Heaven magazine about my life with coeliac disease and my history as a gluten free blogger. My friend Mikey from Twisty Focus also took some great photos for it! I was kindly invited to a cookery masterclass with chef Lesley Waters for the launch of the Tesco Lactose Free range. I took part in the cookery event with some other food and free from bloggers, and wrote a post about the experience here. 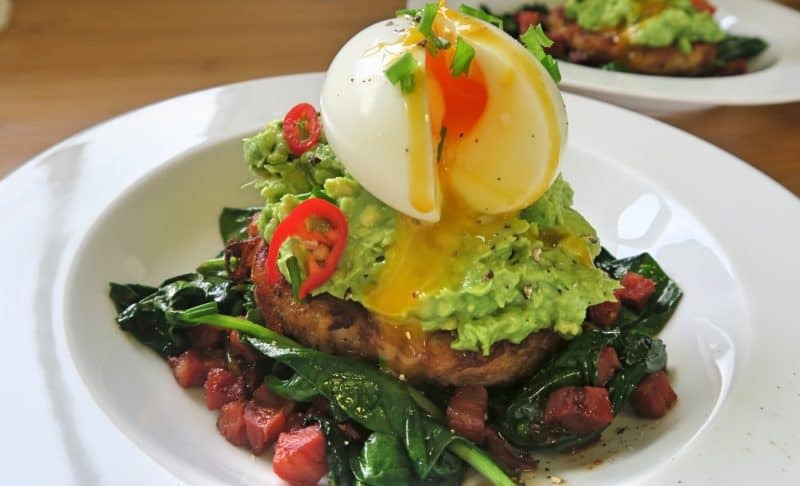 I’ve worked with the marvellous Protein Pow for a couple of years as a brand ambassador and love how the brand promotes healthy living and getting creative with food. I’ve attended several shows with owner Anna Sward, including FitCon and SFN, to sell the Pow products, promote the brand and help run the protein cooking workshops. I was very excited when Old el Paso launched their gluten free fajita kits, as was the rest of the gluten free community I think! I put together an Instagram post for them to help promote their new kits to the wider gluten free community. I’ve taken part in several campaigns with Mash Direct – I love their products and their ethos of fresh, farm cooked food which is all gluten free. I’ve worked on a recipe creation with them to promote their products in Morrisons, as well as another recipe creation for some Thai gluten free fishcakes for their Great Mashed Veg Off campaign. One campaign I loved working on was the Nutribrex campaign to come up with five ways to use their gluten free granola. I decided to come up with five different gluten free breakfast ideas, which I put into a video and this blog post. I took part in a campaign with spice brand Schwartz to promote their brand new gluten free mixes. For this I created a gluten free dinner party and invited some friends round for a Mexican feast. It might have been the hottest day of the year but the chilli and fajitas still went down a treat! 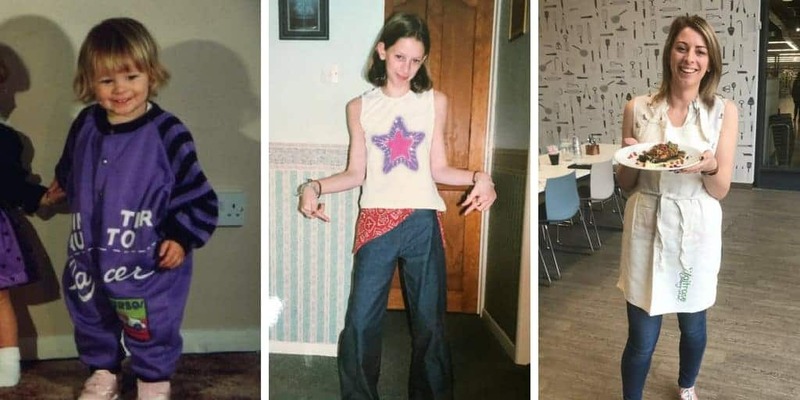 I worked with Barleycup on a campaign to help promote their gluten free instant drinks, by sharing my top tips for living with coeliac disease. I created this gluten free banana bread as part of a recipe creation campaign with them. Some pieces for Metro about gluten free Christmas foods. A piece for Bournemouth University about my blogging and journalism career. I love hearing from new brands and am always happy to discuss a variety of different projects, from blog posts and recipe creations to social campaigns and copywriting. Drop me an email to sarah@theglutenfreeblogger.com or fill out the form below and we can chat! I am always open to working with brands, my blog is a business and this is a part of how I generate my income to bring my readers so much other recipes, tips, tricks and humour, all for free. I will not work with brands I don’t agree with, so if you own a weight-loss tea or meal-replacement drink, I’ll save you the hassle – please do not pitch your ideas to me. I will ALWAYS maintain editorial integrity with any sponsored posts I publish. This is non-negotiable. I will not put forward any ideas that I do not agree with or think will be of use to my readers.